Tools and projects and stuff. 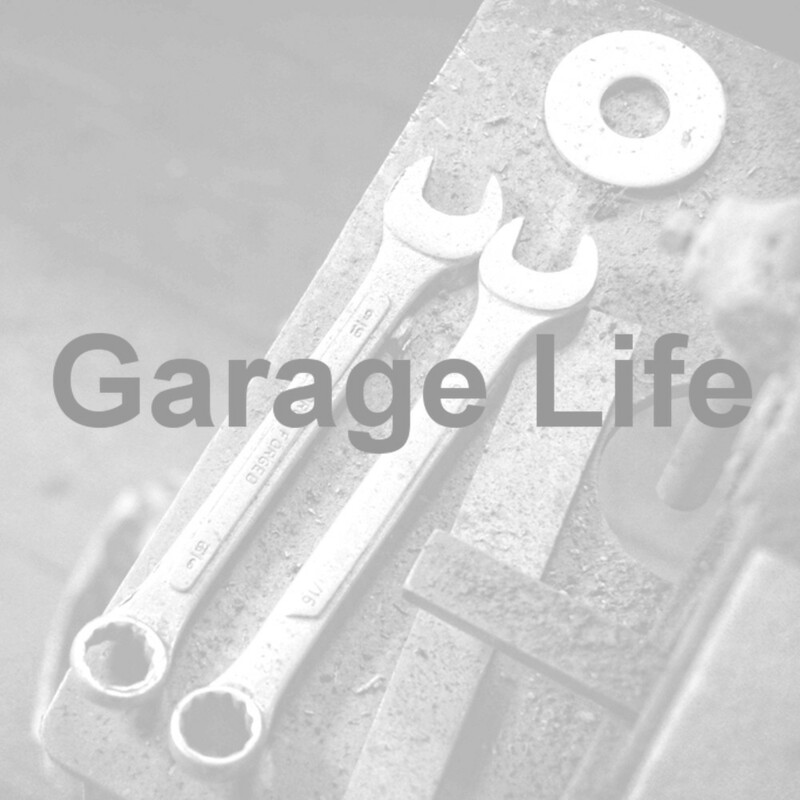 My very first garage was attached to the family home I grew up in and is where I learned how to wrench on bicycles, motorcycles, the lawnmower, my dad's MGB and my own first car. Then for several years I lived in a city without a car while attending university. When I could finally afford to get back into the hobby again, I found a great group of enthusiasts sharing a large garage warehouse filled with a constantly rotating selection of mostly British cars such as: AC Aceca; Austin-Healey 100, 3000 and Sprite; Jaguar XKE and XK8; Jensen-Healey; Lotus Esprit and Europa; MGA, MGB and MGB V8; Morgan Plus 8; Porsche 356 and 911; Triumph TR3, TR4, TR250, TR6 and TR7; and a variety of other collector cars and motorcycles. We'd gather regularly to work on our respective projects, host tech sessions and social gatherings for local car clubs, lend a helping hand and moral support to those in need. But over crowding and many years of non-stop automotive restoration work meant the place was getting a bit shabby. An opportunity came up for me to join a friend who was launching an automotive business in a brand new garage space developing performance parts for Volvo cars. After hours I'd go wrench on my projects. Working late into the night, I'd sometimes be joined by others working on everything from a NHRA Pro Stock drag racer to a Ducati, a Camaro land speed racer or a Volvo drift car. But a move to a new house made the trek to the garage long and difficult. Then an opportunity came up to join a co-worker who had just bought a 3,600 ft2 garage to house his Corvette collection. With just the two of us we had lots of room to work. Many a weekend were spent there sandblasting, welding, painting, wrenching, etc. Eventually, my wife kindly gave up her parking space so I could turn the 1-car garage at our townhouse into a motorcycle workshop. Instead of driving 45 minutes to get to my garage all I had to do was walk downstairs. What a time saver! At our current home we've got a 2-car garage with parking space for one car and several motorcycles. It's still a work in progress. Future plans are to design and build a detached garage that is aesthetically consistent with the house and includes tall ceilings to accommodate a car lift, lots of natural lighting, running water and top notch security.